The Most Common Scams Targeting Seniors (And How to Avoid Them)Seniors are often targeted by con artists. 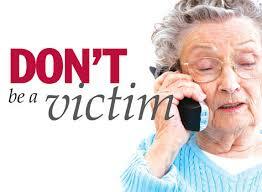 Scams are most often conducted through the phone, mail, or internet. The FBI, the Federal Trade Commission, the United States Justice Department, and many local law enforcement groups have all made statements about seniors being targeted for scams. Women over 60 who live alone are particularly susceptible.